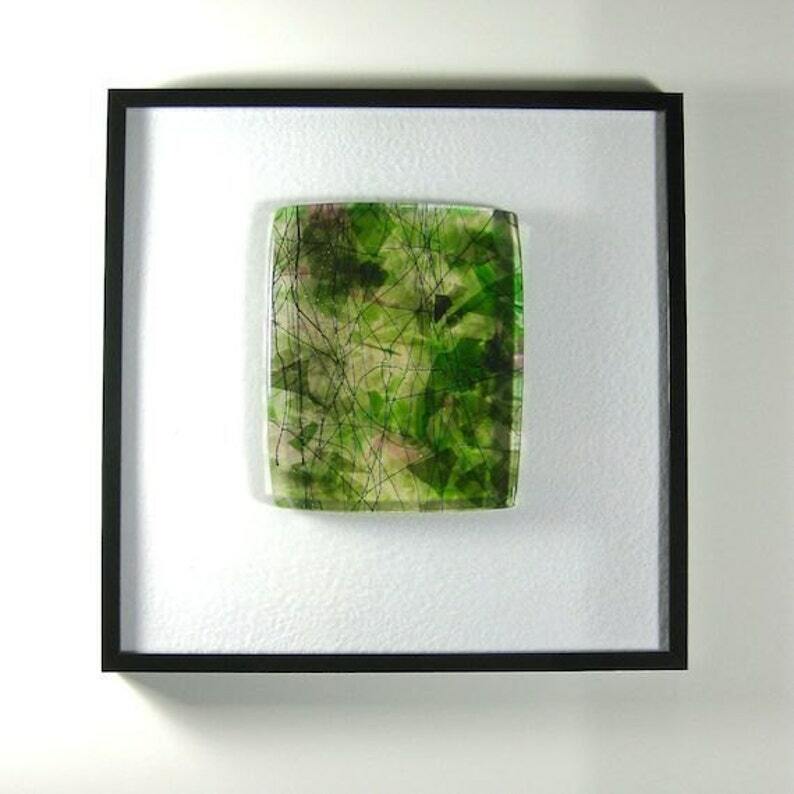 This fused abstract framed sculpture art glass billet brings a slice of Spring into your home. The light pink, greens and yellows glisten in the raised billet which is fused to the clear glass. Where better to find that light but in your office or home. We feel that our glass needs you as much as your office or home needs our glass. Many different layers along with clear give a ripple effect of colors overlaying each other. The texture of one, two and three levels makes secondary colors as colors overlay each other. This is one of a series I will be doing . All of our pieces are dramatically effected by the light. This studio piece is framed in a 12"" X 12" black metal frame ready for hanging on the wall. Enjoy our art. Express yourself by bringing art into your environment.